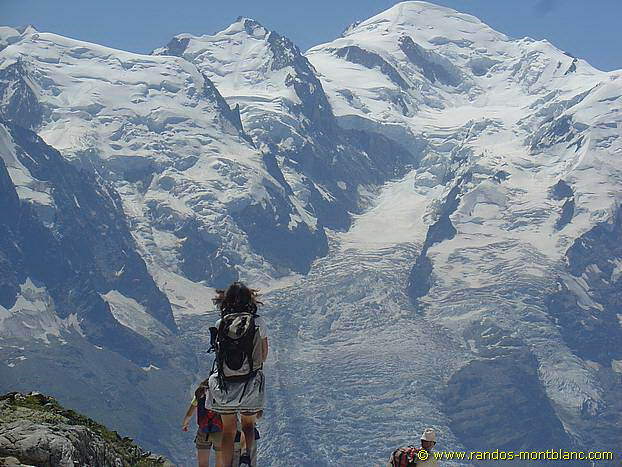 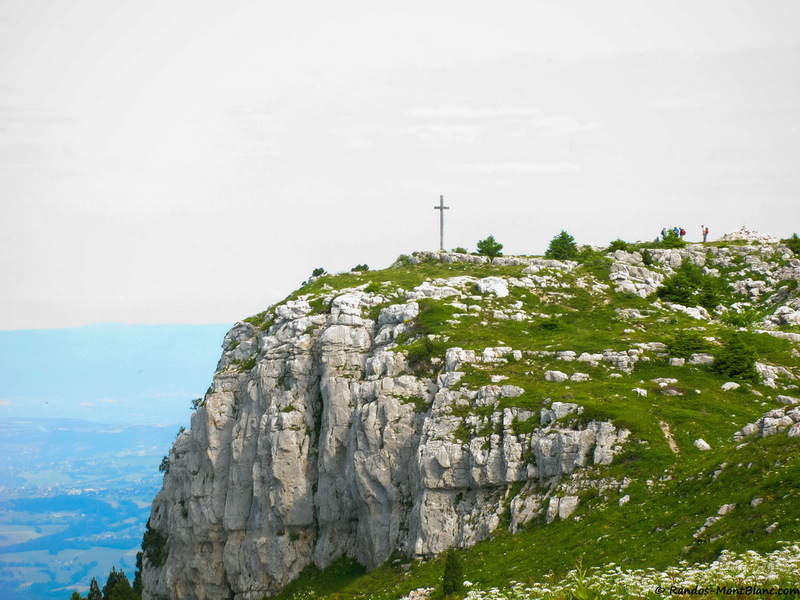 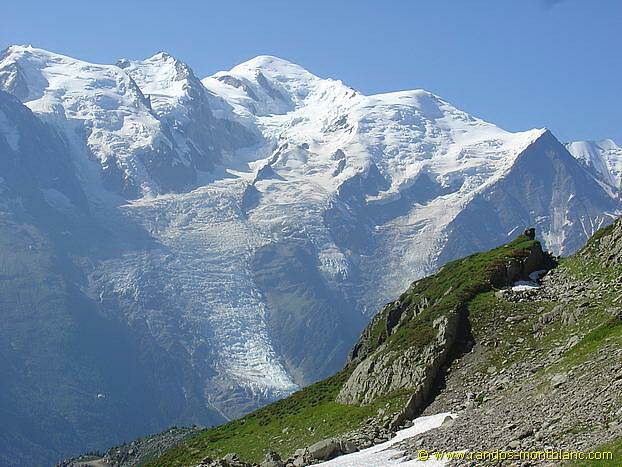 The Aiguilles Rouges National Nature Reserve offers hikers many itineraries in a majestic setting, facing the Mont Blanc Massif. 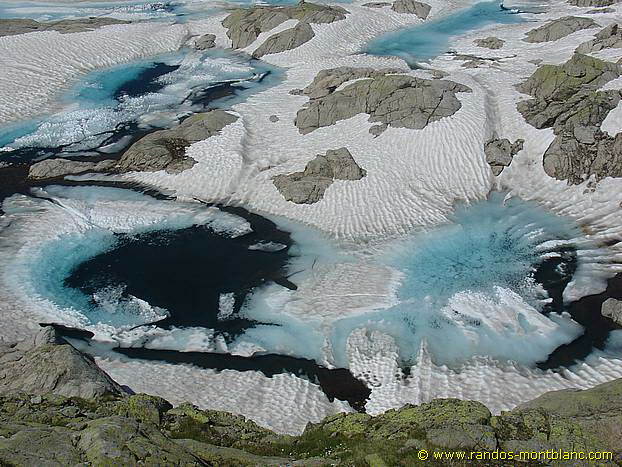 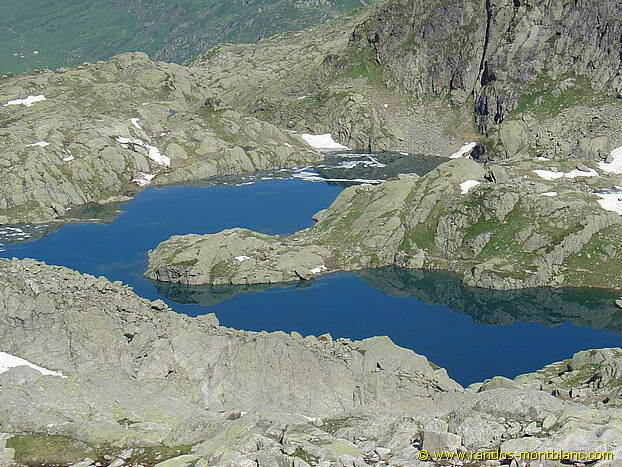 The Lac Cornu and the Lacs Noirs remain one of those marvels revealing themselves to the gaze of the amazed observer. 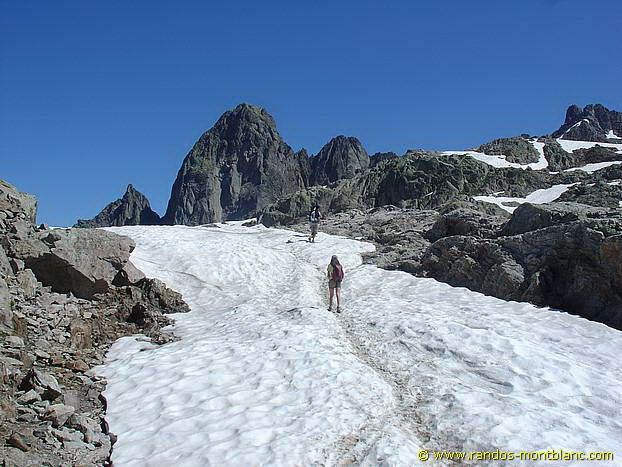 The route, demanding little effort, involves steep passages and névés without risks. 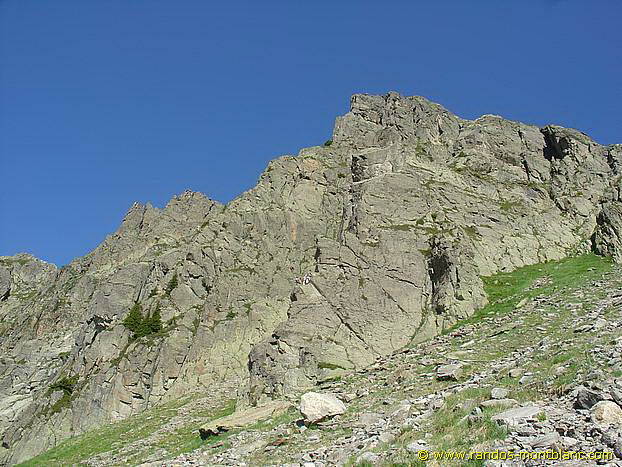 However, there are no exposed passages on these well-marked trails. 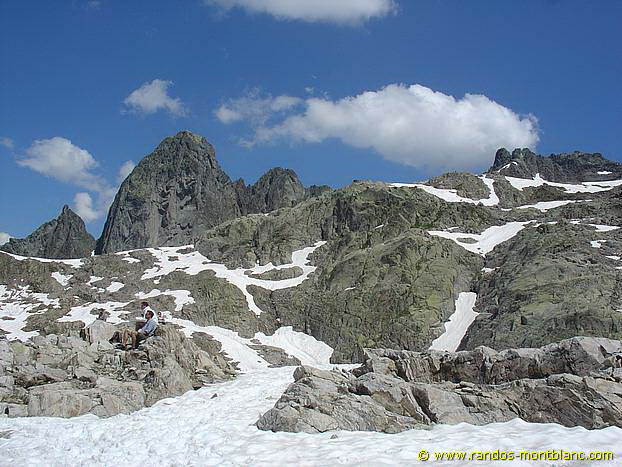 The departure of the itinerary takes place at the arrival station of Planpraz’s cable car, which removes a significant part of the elevation gain. 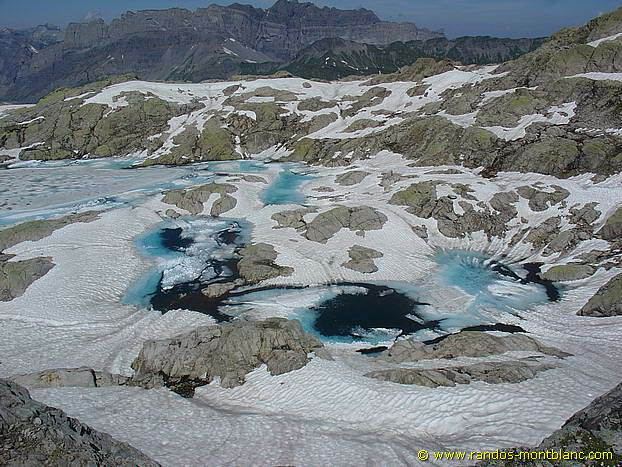 I promise unforgettable memories in these sublime landscapes, where the eye is continually attracted to the most prestigious summits within reach and to the very numerous glaciers on which, unfortunately, we can only see the effects of the acceleration of global warming. 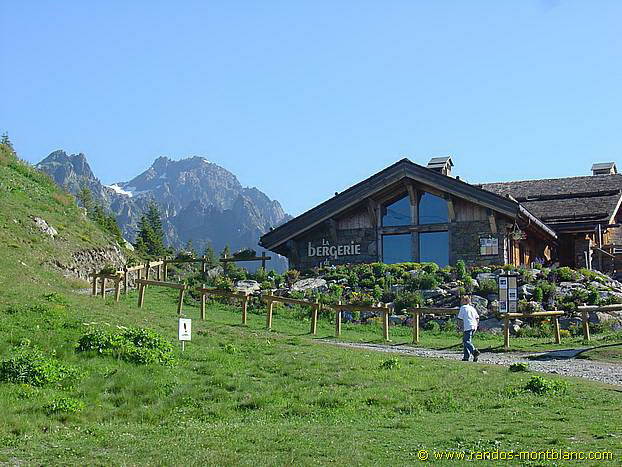 In Chamonix, take the direction of the car park of Brévent’s cable car. 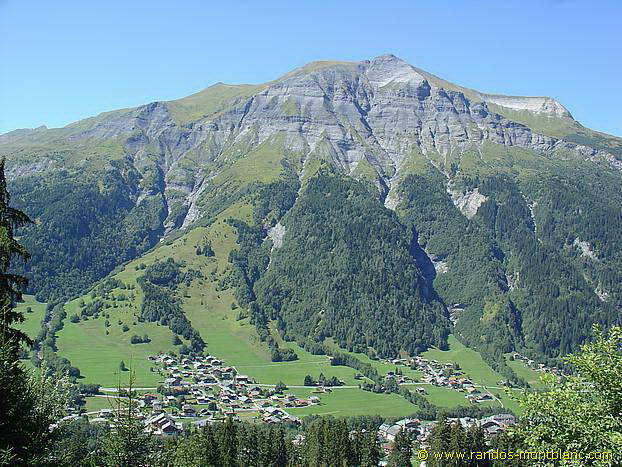 Take a round-trip ticket to the station of Planpraz. 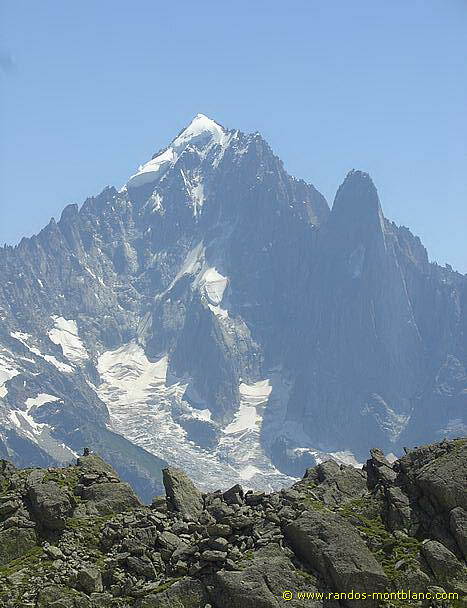 Fares and Timetables of the Flégère and Brévent’s cable cars. 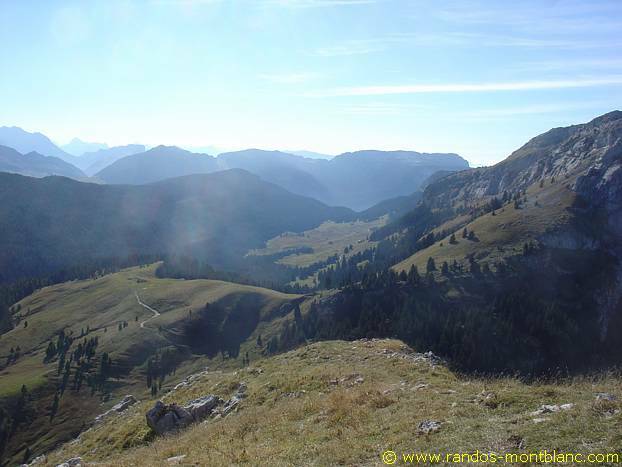 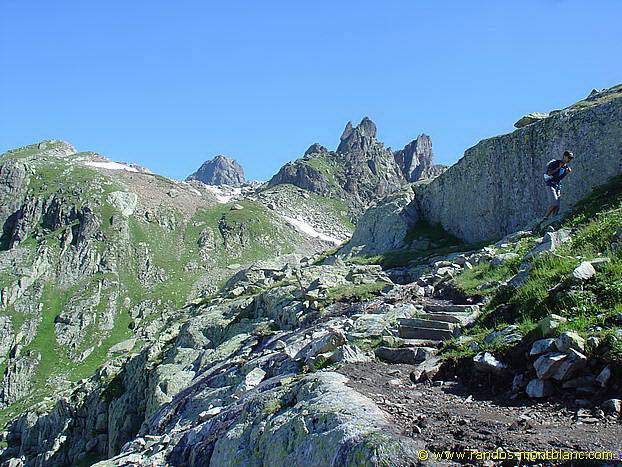 After leaving the cable car, turn left onto the trail that rises until the arrival station of the Parsa chairlift. 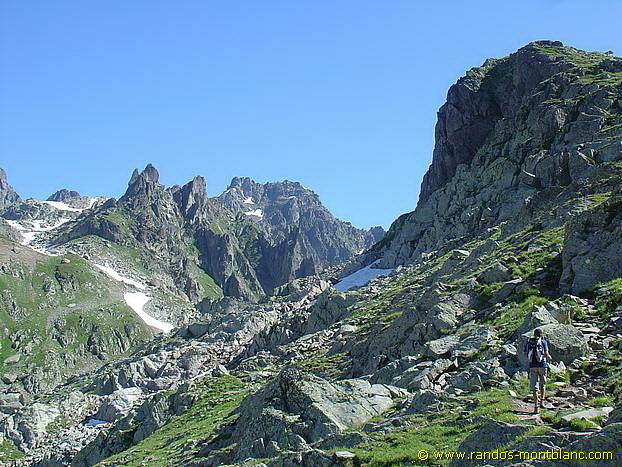 At the intersection of the trails, follow the direction of La Flégère and then turn left on a signposted road going to the “Lac Cornu” which, after a few steps, remains steep until a scree. 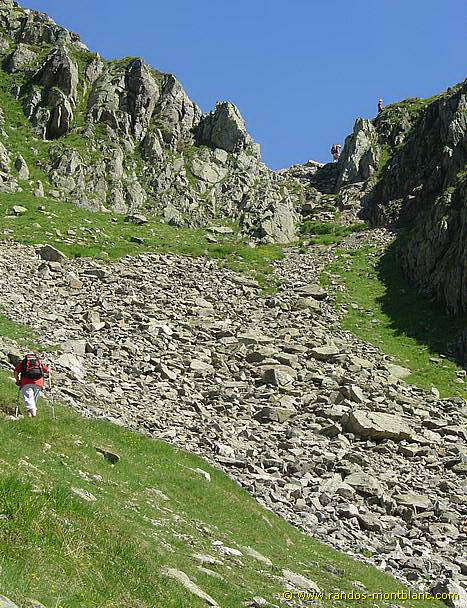 After getting through a great valley under Aiguille de Charlanon, the path arrives at a small breach with large rocks. 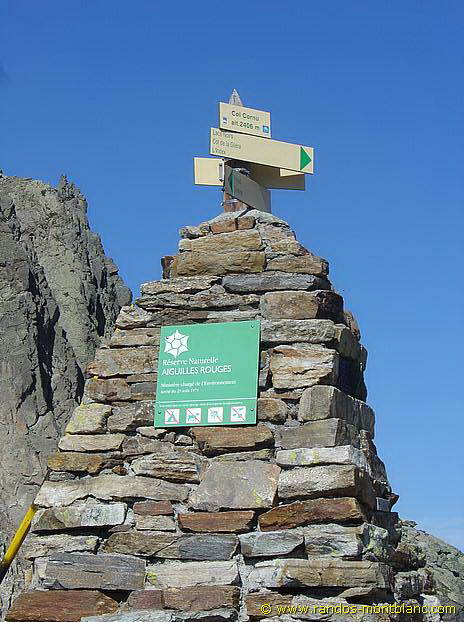 After a few switchbacks in a combe that preserves some névés, one reaches the Col Cornu (2,414 m), materialized by a large cairn and a sign of the Aiguilles Rouges National Nature Reserve. 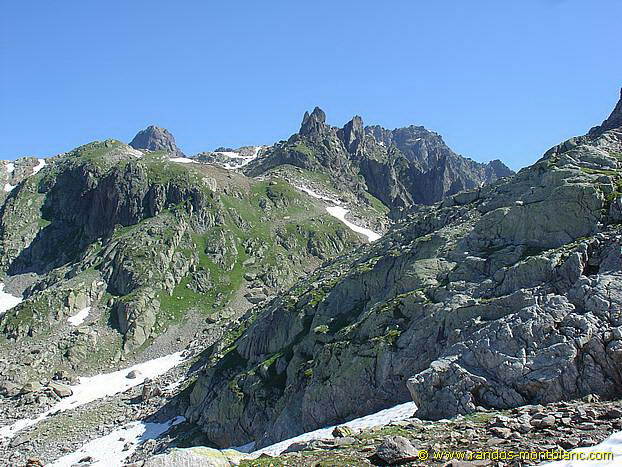 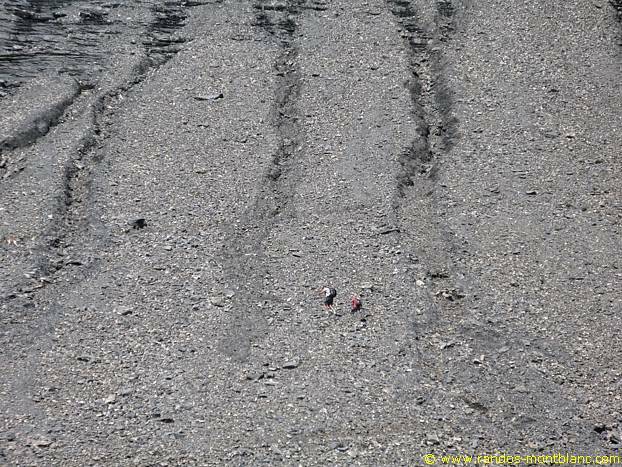 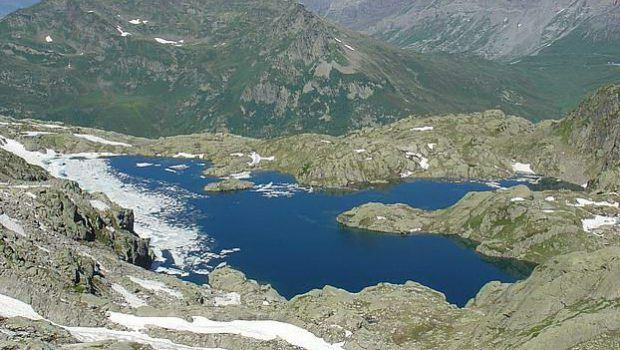 By following the red markings on the rocks, the route reaches the shores of the Lac Cornu. 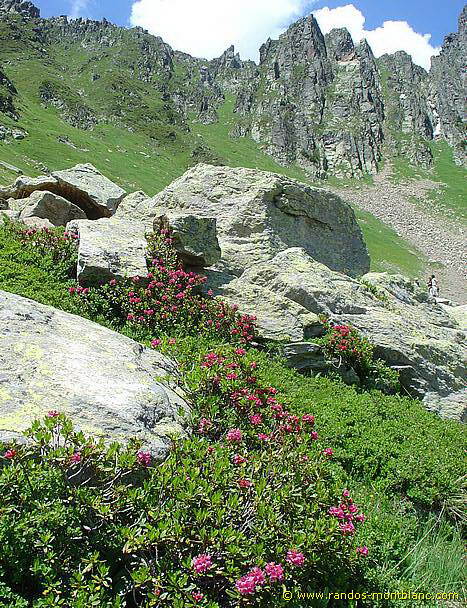 Several névés persist late in the season. 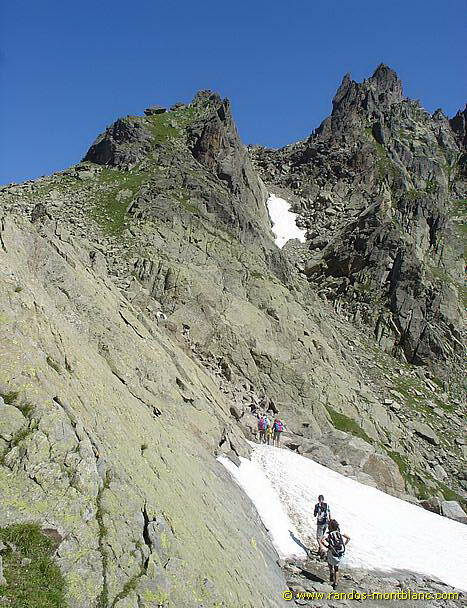 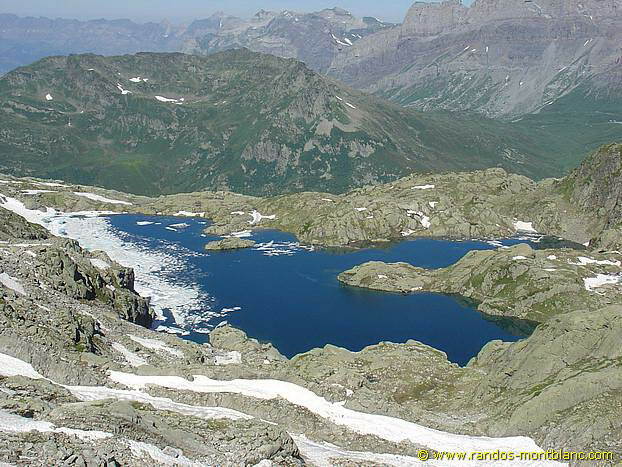 To reach the Lacs Noirs, return to the Col Cornu, and follow the marked yellow route that starts on the right overhanging the Lac Cornu. 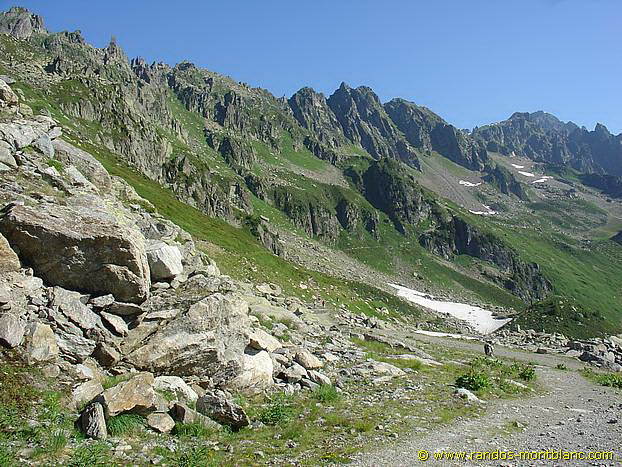 After climbing many rocks and late névés, the path reaches the Col de la Glière (2,461 m). 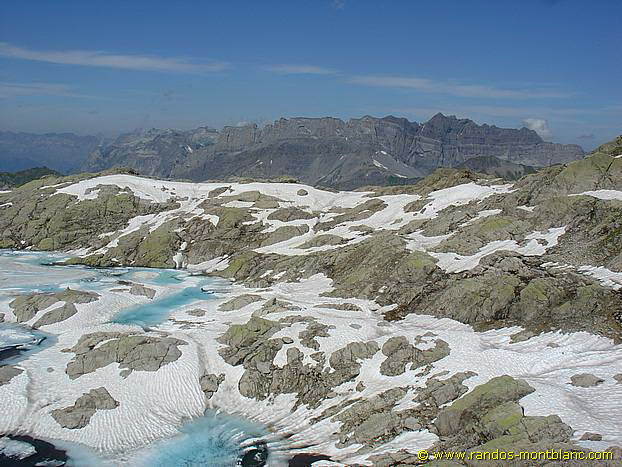 Continue to follow the yellow markings to win the Lacs Noirs still covered in part with snow and ice.